That it is an old car, and that it probably was in excellent condition. I bought it used. It needed a new battery. The following year the ac needed new one. Now as far as it drives, it is doing ok. It rides pretty good for it is age. I think it will last me at least another five years. No problems with the windows, they go up and down with the push of the buttons. The CD player still works good. The trunk is a bit of a problem as it lost it is spring before I got it. I have to lift the trunk and it is very heavy. The windshield wipers still work well. I have had it over three years now. Such a smooth ride and good on gas for an older car. Roomy and easy to drive. I have had this car two times. In both cars and what I have read the cooling fans have gone out. I have had them replaced and overheating was not an issue. I love that it is a smooth ride and accelerate beautifully you do not lose power if you step off the gas which is a plus. It is super roomy and comfortable. The windshield wiper blades have to be replaced every year though because I think the car get hot that they just fall apart. I live in Cali so it is not such a big deal. 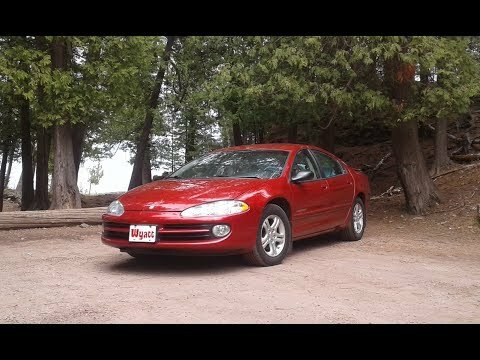 Four door dodge intrepid se. Very reliable. Comfortable. Huge trunk for extra storage. Lots of room. Rides smooth. Dependable. Nothing bad to say about it. Electric windows and seats. Good on gas. Family friendly. CD player. Easy maintenance. Four door. Cloth seats. I've had no problems with it. Great on gas. Best car I've ever had. Easy to keep clean. Would definitely recommend others to purchase those type of car. I absolutely love it.